Valentine’s Day isn’t just a day to celebrate your love for a significant other – it’s a day to celebrate your love with family and friends too! Which is exactly why we swoon over the idea of a Galentine’s Day event – a celebration of love between all your closest girl friends! 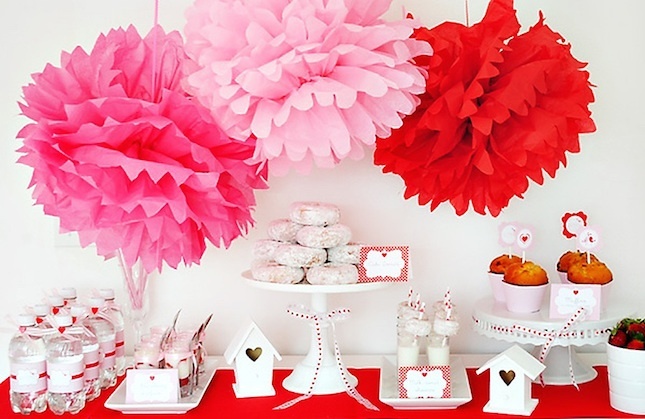 Complete with tasty treats, favors, fun activities, and lots of pink and red, this love filled celebration is the perfect way to get your girls together and celebrate your friendship. 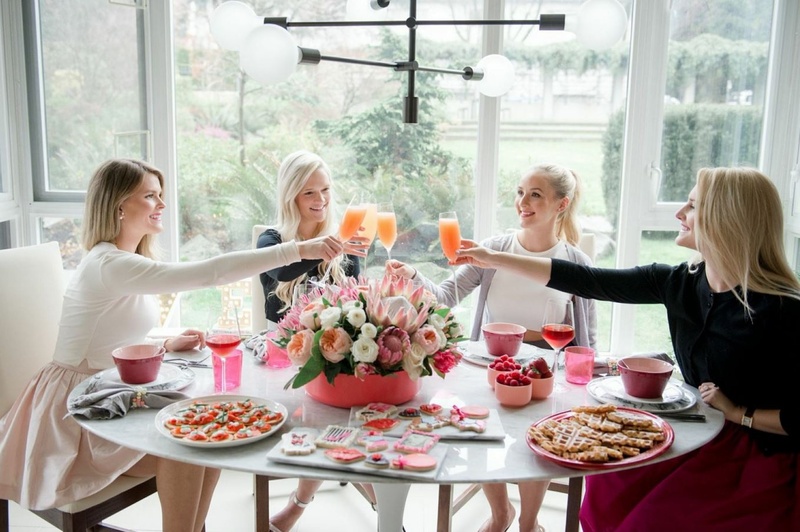 Take a look at some of our favorite ideas for a Galentine’s Day event, and get inspired to host your own this holiday! Just like with any other special occasion, mailed invitations are a special touch that shows thought and creativity. Plus, it’s an easy way for your guests to keep track of the time and location of your event. 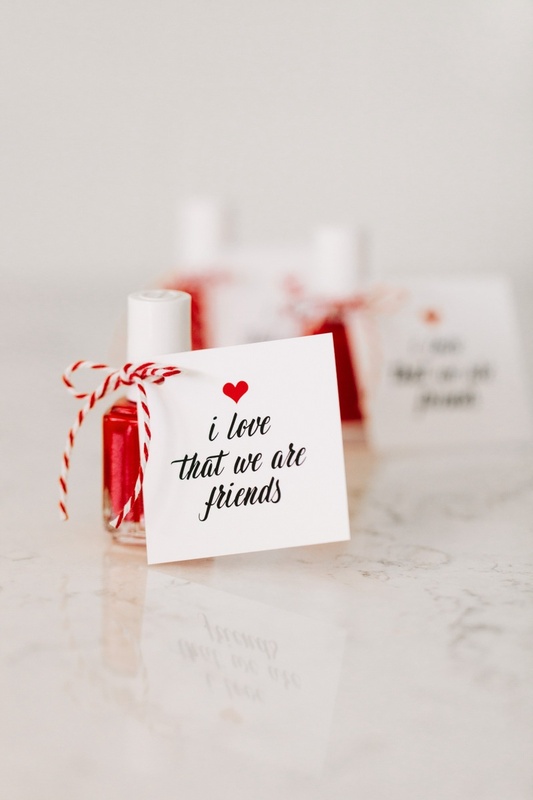 If you decide to use invitations, we say get these to your girlfriends as soon as possible! That way, they have plenty of time to plan for the party. 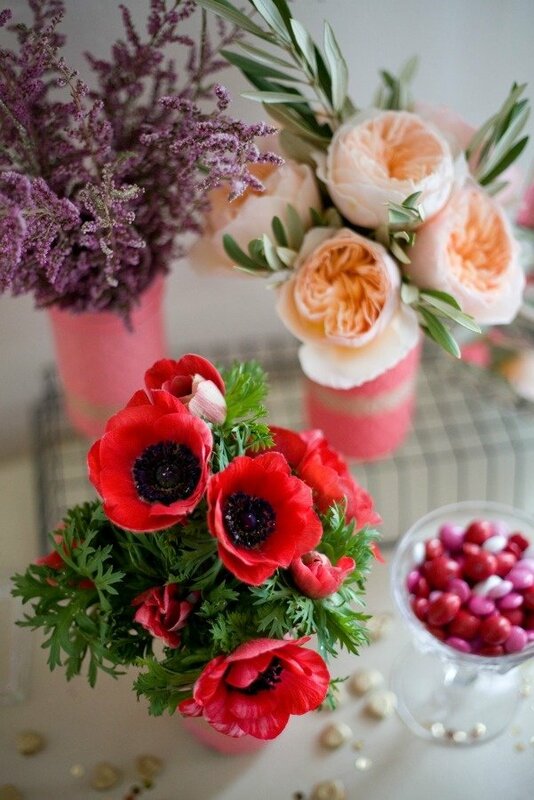 Variations of pinks, reds, and white are a classic color combination for Valentine’s Day. Simple pops of these colors such as on a tablecloth or hanging tissue paper pom poms are easy to set up and clean up, and will make your gathering all the more festive. 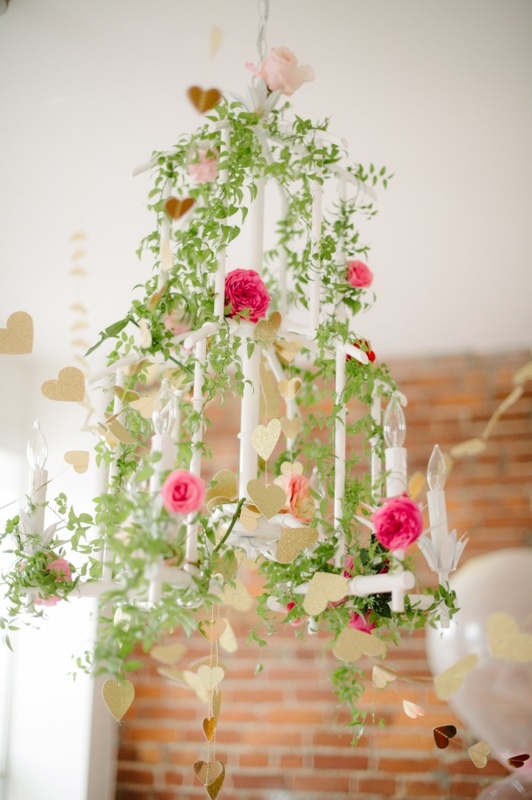 Use floral and paper heart garland to create a look that’s both whimsical and pretty without being too romantic for a girl’s gathering. Honestly, you can never have too many flowers! Fill jars, vases, and even cups with variations of your favorite flowers around the house for a naturally pretty look. 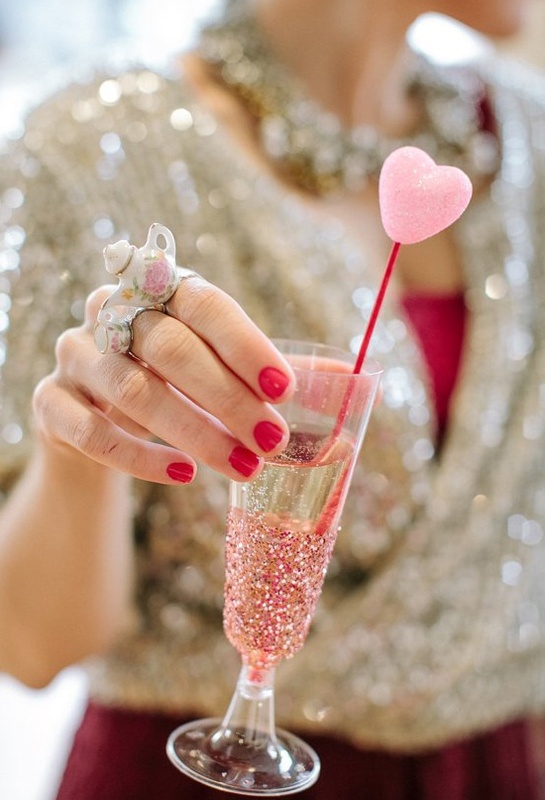 Make your glassware a little more festive by adding glitter! We also love the stirrer featuring a heart on top. What a great way to spruce up the beverages. 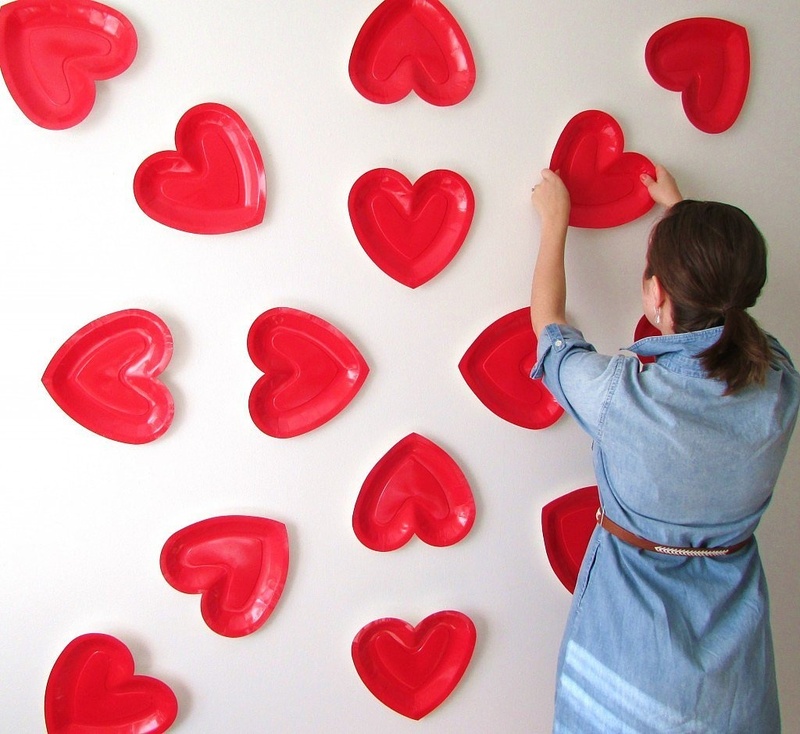 Arrange paper hearts along your wall as a pretty backdrop! It’s an easy way to create a fun atmosphere and is the perfect prop for photos. 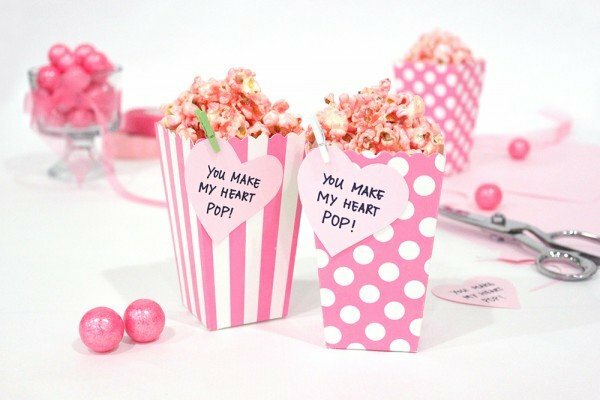 We love this fun and girly idea! 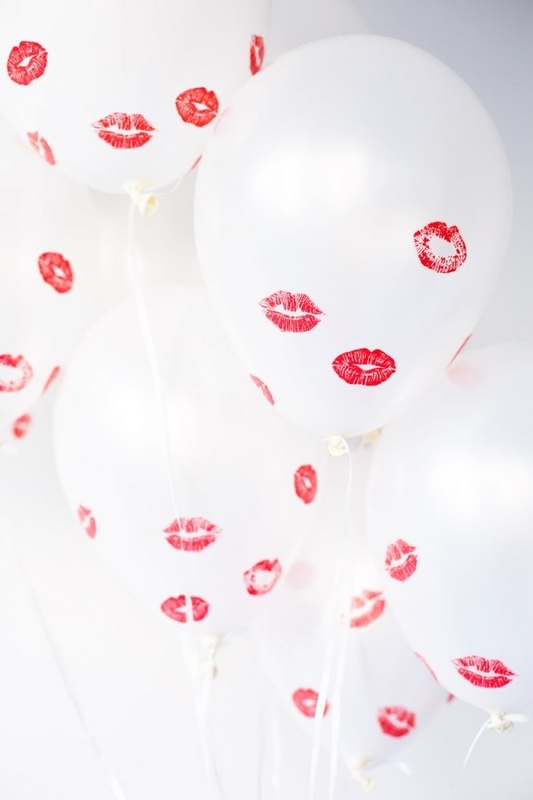 Create this look by filling white balloons with helium and then kissing them while wearing red or pink lipstick. Can you believe that these are actually DIY napkins? Create your favorite look with cloth napkins and some fabric paint, or find supplies that already have cute prints on them! This strawberries and champagne margarita is a sweet beverage that we say is enjoyable any time of the day! 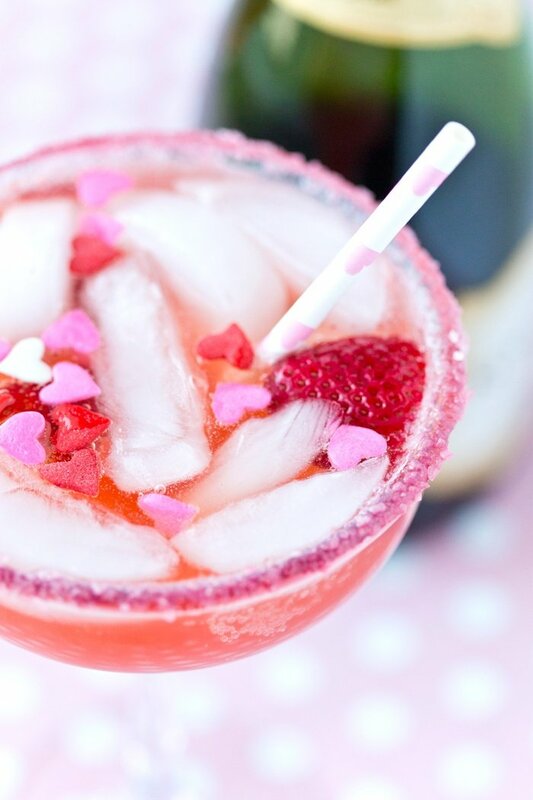 And the pretty pink color along with the pink sugar crystal rim and heart sprinkles for garnish make it perfect for Valentine’s Day. 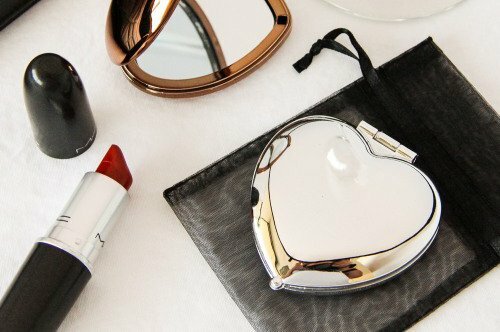 Trust us, your girlfriends will love these! 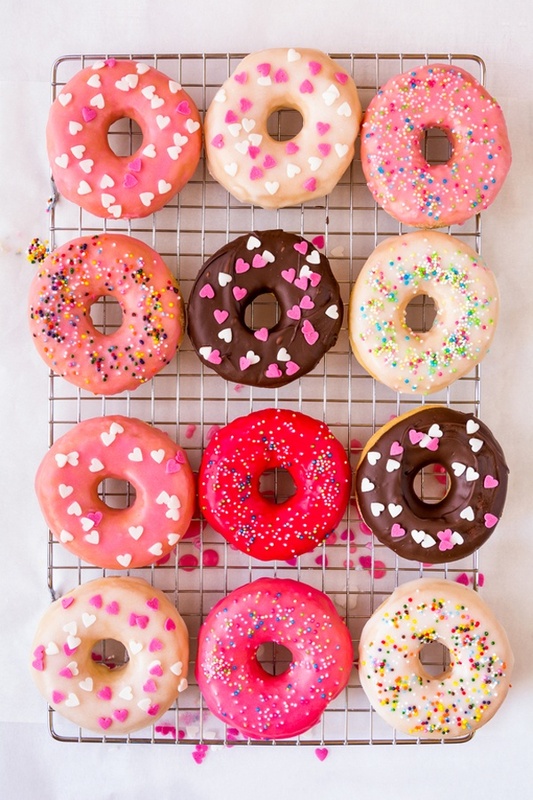 Donuts are always a sweet idea! On the morning of your party, pick up some festive donuts from your local bakery, or get creative and make your own! Sprinkles are the easiest way to make them extra festive. 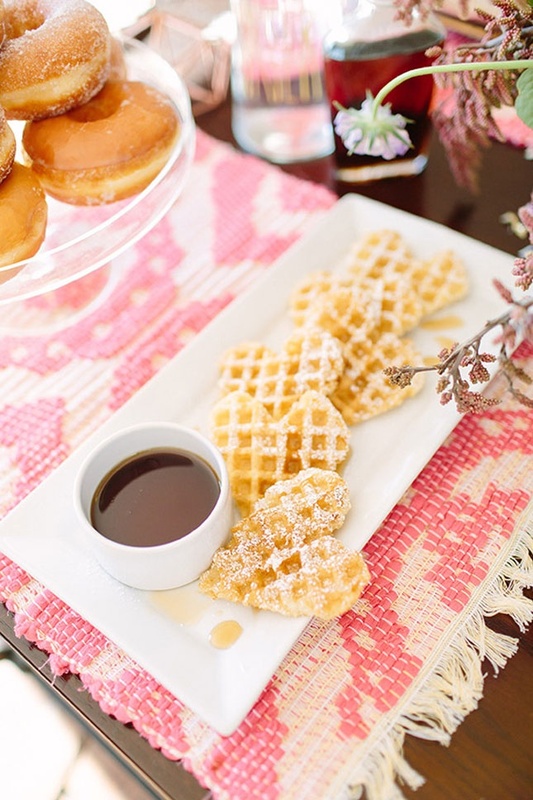 These heart-shaped waffles are perfect for a breakfast or brunch event. 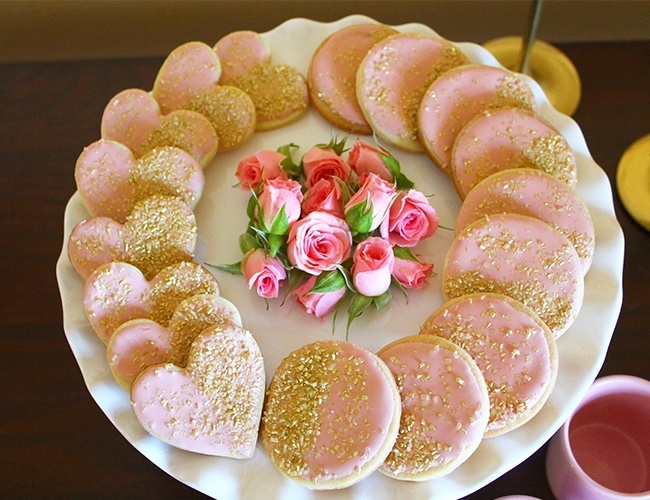 Use a heart-shaped waffle iron or even a heart-shaped cookie cutter to recreate this idea. We also say cookies are good at any time of day. 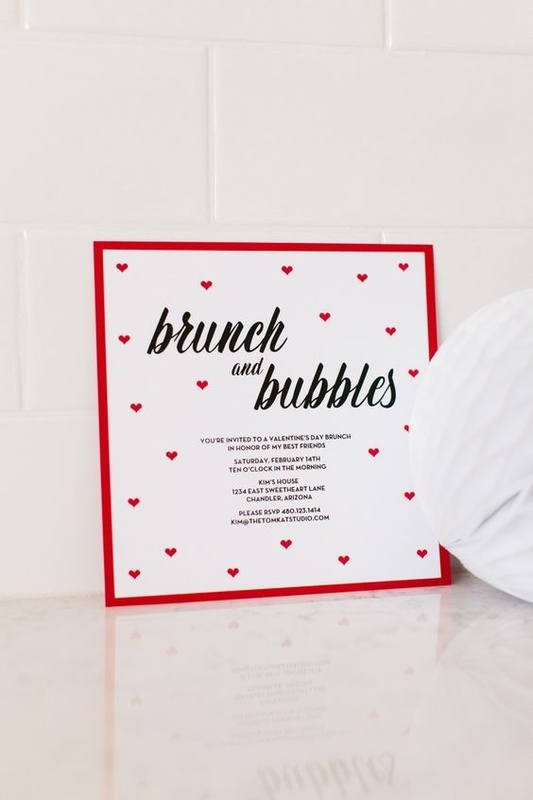 There are plenty of ways to make them look Valentine’s-Day-worthy whether that means adding pink frosting, some edible glitter, adding florals, or creating heart shapes. 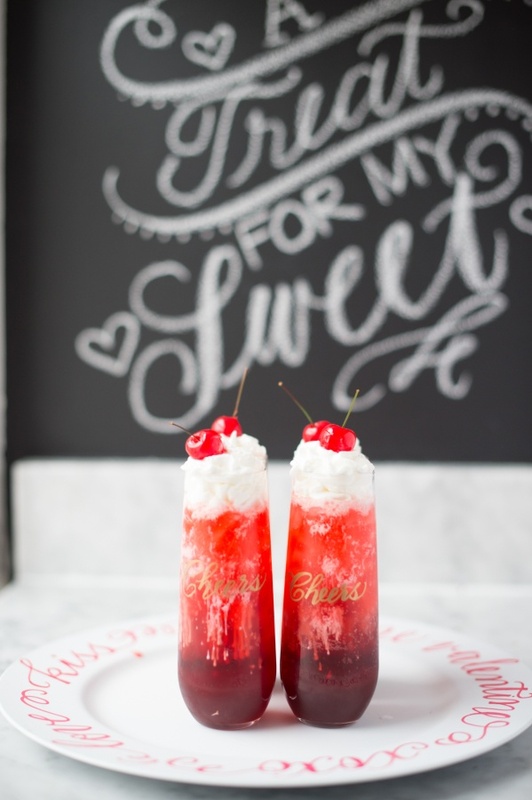 Top off your drinks with a helping of whipped cream and cherries to add more flavor and fun! Personalized glassware is also a special touch that can double as a favor. Serving hot chocolate? 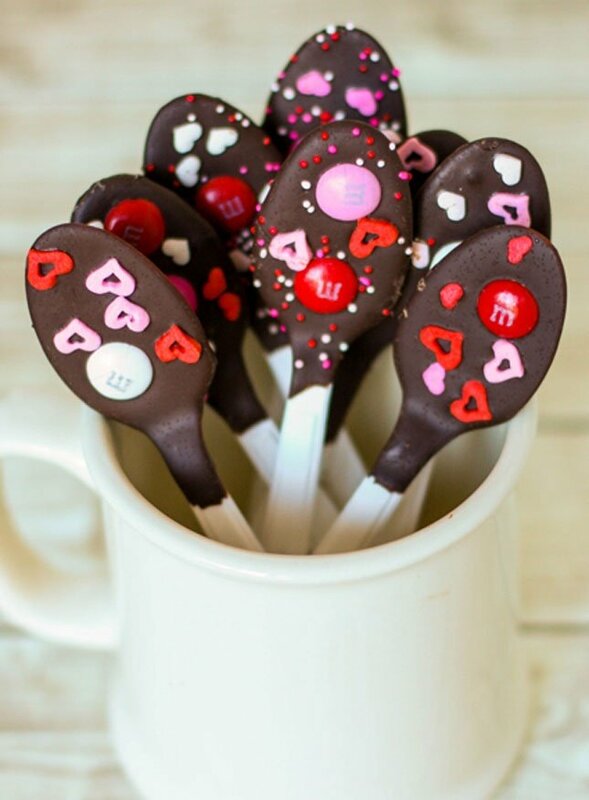 These chocolate-dipped-spoons are a tasty complement and are both easy to make and use. Sprinkles and M&Ms will add even more sweet goodness to your drink! 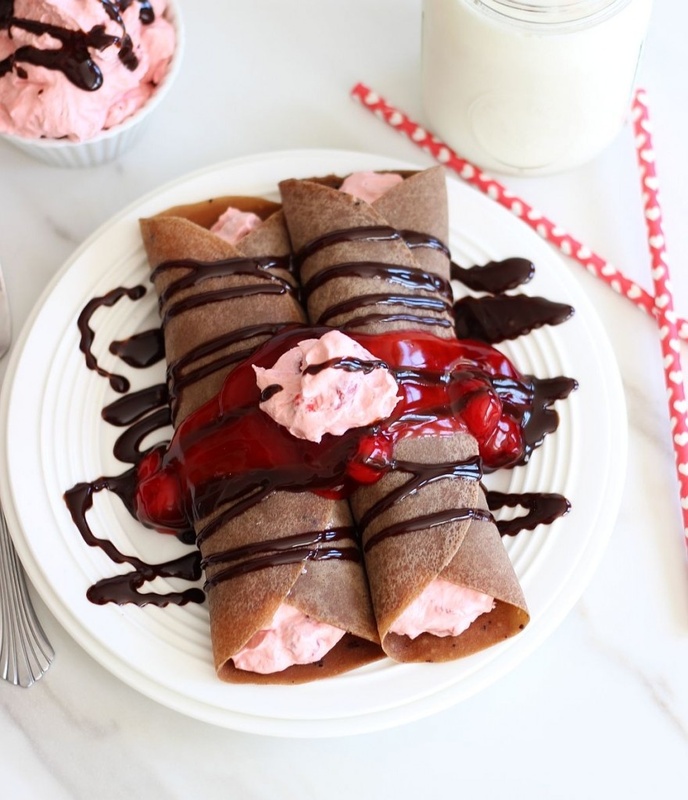 For Valentine’s inspired crepes, we say add some chocolate drizzle, and cherry or strawberry sauce! These crepes are even filed with a cherry pie filling and topped with a cherry whip. Of course, a sit-down meal is a must! It’s so nice to enjoy a meal where you can sit, relax, and just talk with your favorite girls. 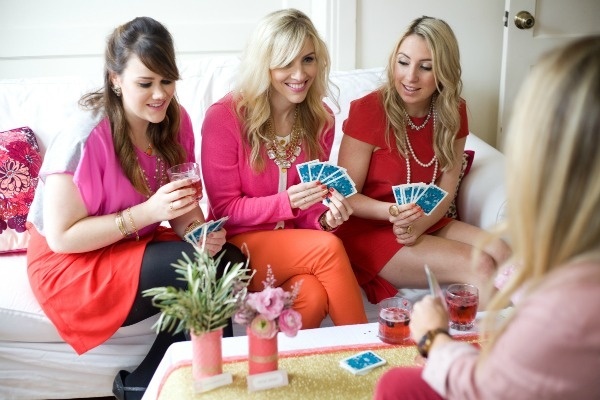 One fun activity you can do at the party is to play cards or a board game! It’s interactive, simple, and is also a fun way to bring out your competitive sides. 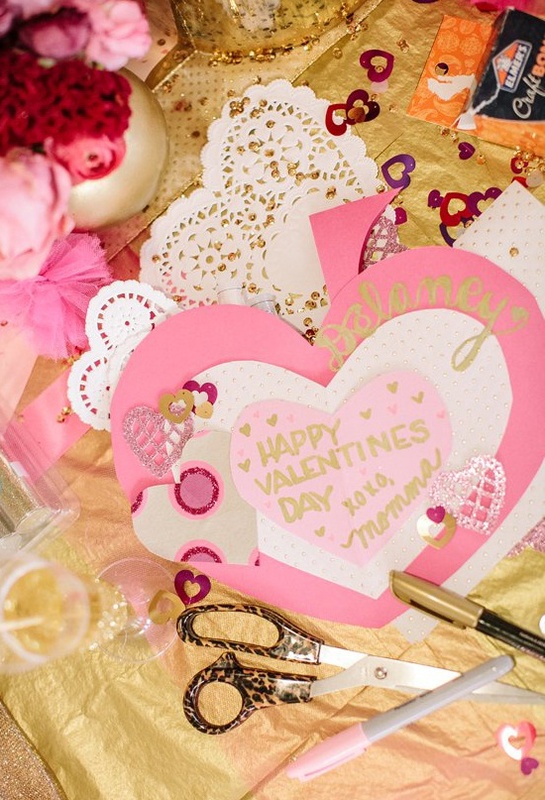 Card making is a traditional Valentine’s Day activity that is enjoyable and allows you to make a most personable gift. The simple gesture goes a long way and you’ll definitely have fun being crafty together! 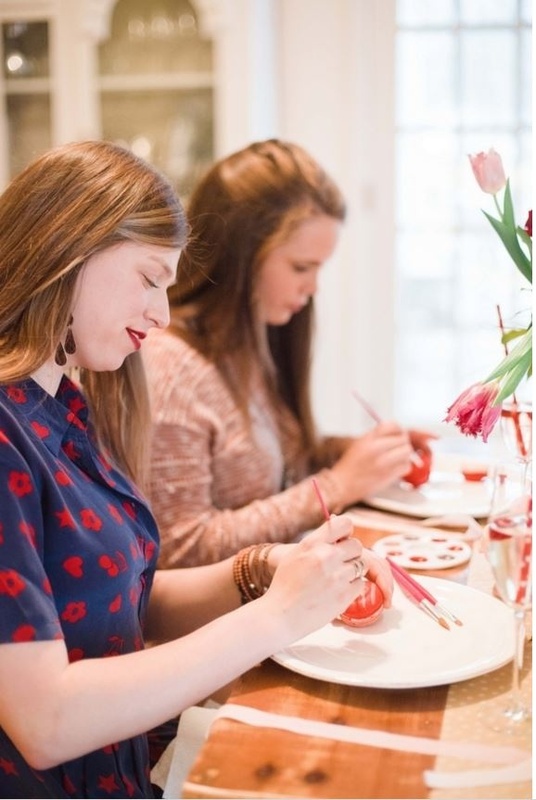 Another fun and crafty activity is painting! Have paper or mini canvases ready along with paintbrushes and paint to hand out to your girlfriends. Turn on some music or chat while you paint, and get ready to enjoy seeing what your friends created! Gifts that pamper such as nail polish, lotion, candles, and soaps are always a good idea. A mini bouquet of flowers is a sweet gift for your girlfriends. 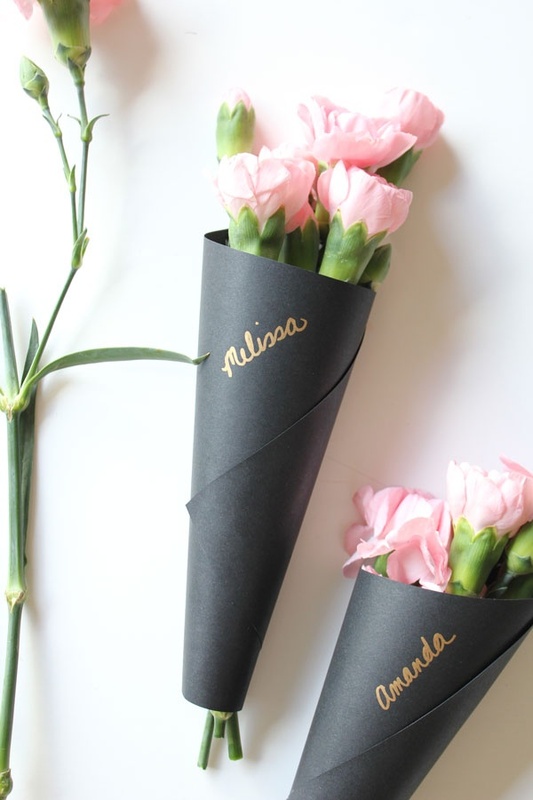 Try personalizing each bouquet by wrapping the flowers in construction paper and writing your friends name on each. 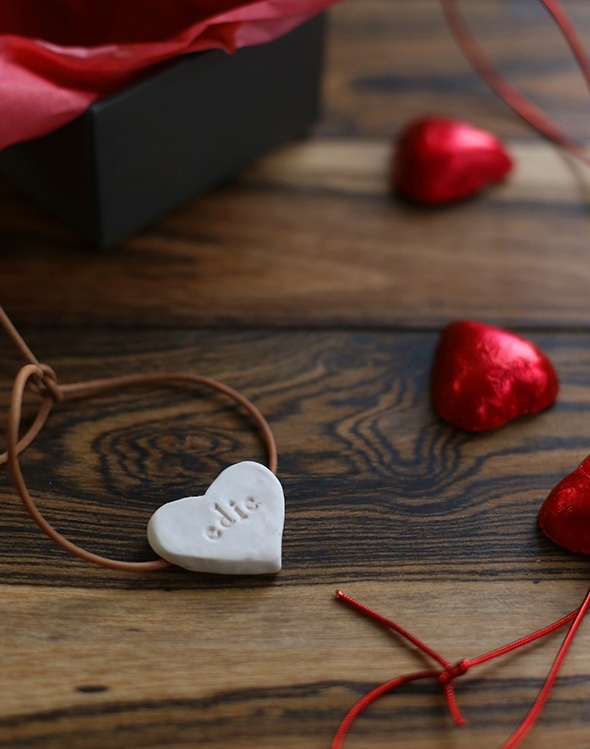 A piece of personalized jewelry has always been a special gift between girlfriends. (Think friendship bracelets!) Find a simple piece for each of your favorite girls, or make them on your own. 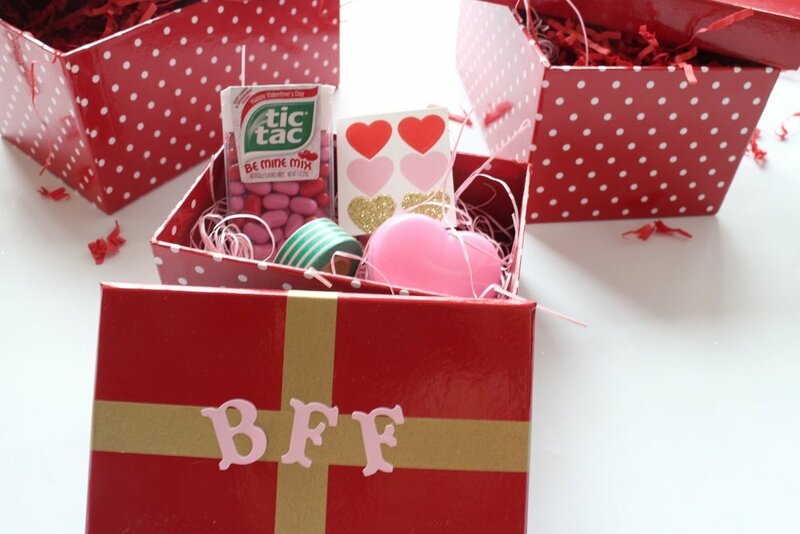 A favor box filled with candies, stickers, and other trinkets is a great way to thank your friends for attending your Galentine’s event! 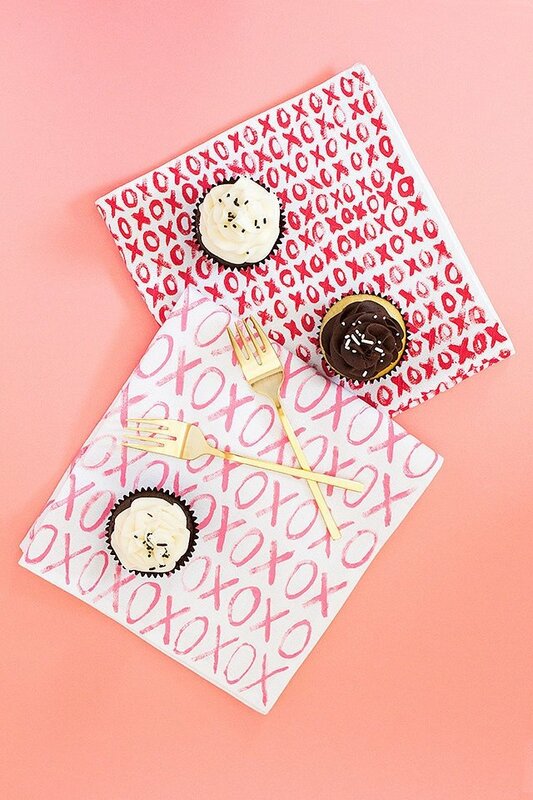 Will you be throwing a Galentine’s party this year? What are some of your favorite ideas? We love hearing from you, so please feel free to leave us a comment with your thoughts!